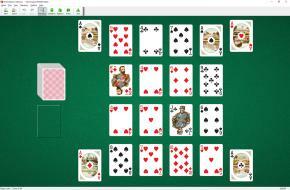 Solid Square Solitaire uses two decks (104 cards). You have 16 tableau piles and 4 foundations. One card is dealt to each tableau pile at the start of the game. 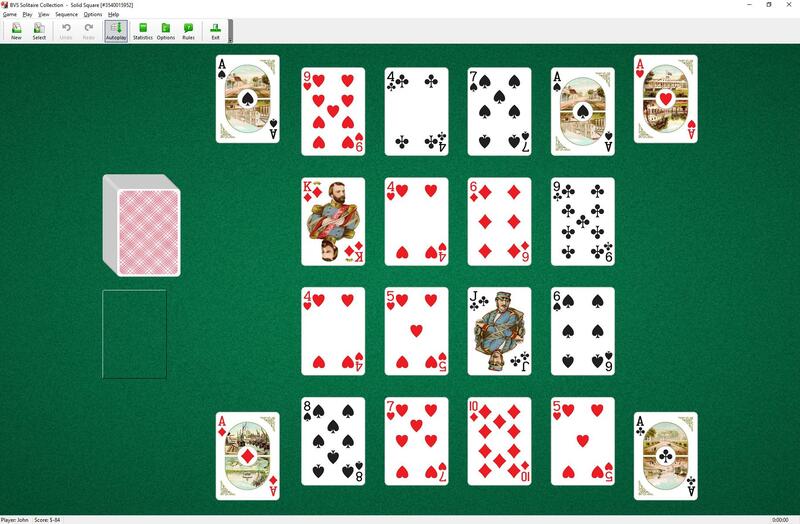 Four Aces are moved to the foundations at the start of the game. To build the foundations in ascending order from Ace to King, then in descending order from King to Ace in suit. You may build tableau piles up or down in suit. The top cards of tableau piles and the waste pile are available to play on foundations or tableau piles. Only one card at a time may be moved from pile to pile. Spaces are filled automatically from the waste or the stock.